Instagram advertising is successful because of its constantly engaged community. Instagram users are actively passionate about content creation and high levels of interaction. The network currently has 400 million active users and 80 million new photos everyday. 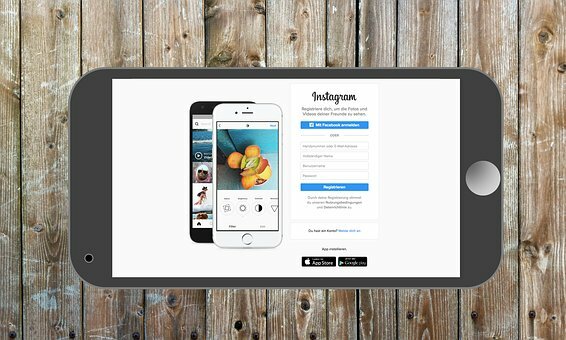 It is no surprise businesses everywhere are turning to Instagram to find new audiences. Instagram users make inspiration and creativity their most important tools. These tools are used to create amazing content which is then shared with everyone else. Additionally, Instagram is visually creative leaving all the clutter out of the content, and having the user focus on what is right in front of them. Generally, information transmitted to your brain 90% of the time is visual and statistics show 40% of people respond more effectively to visual creation. How can businesses make the most of this platform? Images should be of the highest quality. Some of the most successful Instagram accounts have given us the best photos there have ever been. Go the extra mile, produce visually stunning content. Post an image that once seen, users cannot un-see. Your image should convey a story. It cannot be an image for the sake of it. You have the opportunity to present a storyline. Use visual content to share it with your audience. Create an experience for them. Make it seem like there is a beginning, middle and end. Make them feel compelled to listen, to take notice. Engage frequently with your followers. Your followers are inherently interested in what you do, this is one of the main reasons we all follow people we like. We want to know the ins and outs of their lives. It is not just about posting your own photos, and forgetting about your followers until the next day. It is also about engaging with them aligned with their interests. Make time to like their photos, leave comments and reply to comments. You may have heard this plenty of times before, but let us repeat it. Use hashtags! hashtags are synonymous with Instagram and other social media networks. Hashtags are a great way to get people to become interested in your business. Create specific hashtags for special occasions, upcoming events, campaigns and promotions.